Sometimes you come across an app that has that “wow factor.” I am pleased to say that Sliding Messaging has it. 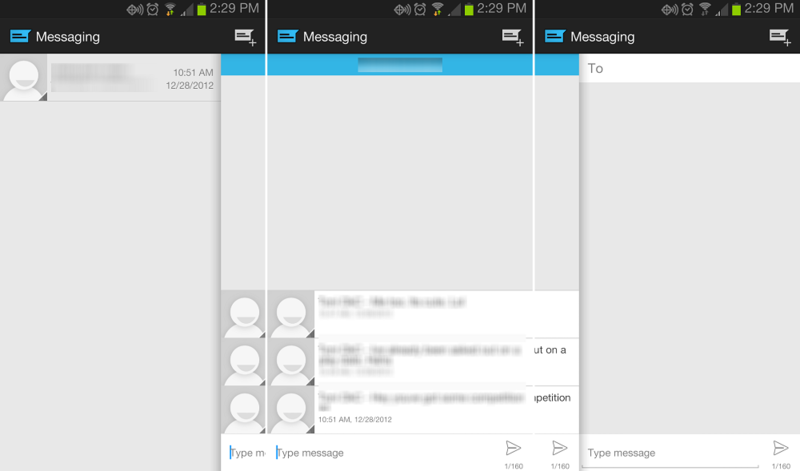 Based on the design guidelines of Android, this is the slickest text messaging app I have seen in some time. It is clean, minimal (naturally), and fluid. There are three columns – your inbox, each individual message, and then a compose column. Navigation is based purely through swiping to each one, which is what makes the application so gorgeous and easy to use. Now, there are some things still missing, such as MMS support which is a deal breaker for some. It also doesn’t pair well with Google Voice. But, it does have a light and dark theme setting, Emoji support, quick reply popup which I have always been a fan of, plus it’s completely free on Google Play. Try it out and let us know what you think down below.